As promised, we have the BET Fall 2012 schedule. The other day we gave you the fall 2012 for sister network Centric, so now today we have BET for you. We mentioned that Bernie Mac is moving to Centric, so as a result, The Jamie Foxx Show will go from Centric to BET beginning October 1. 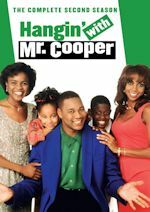 The sitcom starring the multi-talented Jamie Foxx, will air weekdays at 11am & 11:30am and also weekdays 3:00pm & 3:30pm ET. There are no other additions, but we have some time changes since Bernie is out and Jamie is in. Encores of upcoming late night talk show Don't Sleep! will air at 8am, leading into reruns of The Game at 8:30am. Everybody Hates Chris will move to an earlier hour, now at 9:00am & 9:30am. Not to worry, it still airs on TeenNick and Nick at Nite. Back to BET, at 10am, My Wife & Kids will move an hour earlier as well, as Jamie Foxx comes to 11am. At 12 noon, The Parkers will remain in its time period. The BET Movie will continue to air at 1pm and it will lead into another hour of The Jamie Foxx Show at 3, replacing My Wife & Kids. 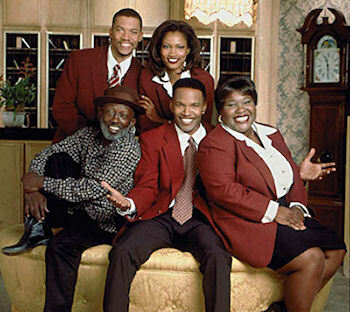 At 4, The Parkers moves an hour earlier as it will switch hours with My Wife & Kids, which heads to 5pm. From 6pm and on, BET has a mix of movies and original series. We mentioned Don't Sleep!, that is their new late night talk show that will premiere October 1 at 11pm. The half-hour series hosted by award-winning journalist T.J. Holmes gives viewers a great reason to stay up as he delivers smart, biting social commentary on significant issues important to African Americans. The series will be a lead-in for reruns of The Game at 11:30pm as well. One other note of interest for us, the TV Land original sitcom The Soul Man will start airing on BET in repeats starting Oct. 9 airing Tuesdays at 10:30pm and encoring Thursdays at 8:30pm. The series revolves around Reverend Boyce "The Voice" Ballentine (Cedric the Entertainer), an R&B superstar-turned-minister who takes over as preacher of his fathers church. If you missed any episode on TV Land, now is your chance to watch as the first season ended this week on TV Land. On weekends, BET will air marathon stunts on Saturdays until Oct. 13. Bernie Mac will get a send-off marathon on Saturday, Sept. 17 from 8am-6pm, while The Jamie Foxx Show will get the welcome treatment on Saturday, Oct. 6 from 9am-6:30pm and on Sunday, Oct. 7 as well from 10:30am-2pm. 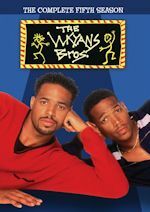 Other marathons include: Everybody Hates Chris (Sept. 8), BET Sitcom Assortment (Sept. 15), and The Parkers (Sept. 29). Effective Oct. 13, Saturdays will have a semi-set schedule from 9am-5pm with sitcoms. And finally, BET will air a marathon of The Parkers on Columbus Day (Monday, Oct. 8) from 9am-4pm. View the full BET Fall 2012 schedule. Stay with us for further updates! The MeTV Network announced three new affiliation agreements, which include the primary channel position on KWSD in Sioux Falls, South Dakota (DMA #113). 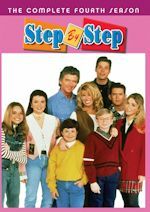 The MeTV Network will replace The CW Plus and will be seen on channel 36.1, as well as local cable and satellite channels beginning September 10, 2012. WIBW, Topeka, Kansas (DMA #136) will also launch MeTV on channel 13.2, beginning September 10, 2012. WHSV will launch MeTV in Harrisonburg, Virginia (DMA # 178) on channel 3.4, beginning September 24, 2012. With these three being added, the network will now clear 83% of the country! 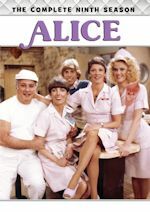 And remember the "Fall for Me" Fall 2012 schedule has begin, see our previous story on what is new this fall on MeTV Network!